It’s not going to be hard to find the perfect piece of furniture for your home when you start shopping at Barker & Stonehouse. With over 65 years of supplying the best in modern and classic designs they have a keen eye on what works and what doesn’t. Whether in store or online there’s an extensive collection including designer sofas, love chairs and snuggler armchairs. This one stop shop for your home to transform every room in the house. 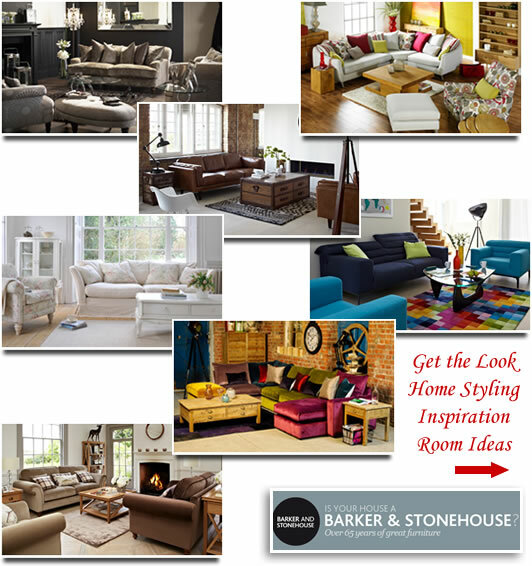 Extra help is at hand with Barker & Stonehouse design service. Creative styles are put together for living rooms, dining rooms and bedrooms. View the team’s room sets complete with a full range of product info for items shown. Discover different looks with everything from silk cushions, contemporary lighting, bookends, rugs, mirrors and more. Simply arrange a home visit to discuss styles and budget for a complete room transformation. Create a fabulous sanctuary where you can come home to unwind and relax. Surround yourself with beautifully designed furniture in warm soft tones with sumptuous deep filled cushions, pillows and seats. A careful balance of colour makes for a soothing ambience in your living space. Whether you choose the vintage appeal of leather or the relaxed feel of fabric there’s plenty to inspire at Barker & Stonehouse. For a traditional chesterfield sofa range, the Violetta comes in a stunning collection of velvet coloured fabric. Shades include oyster, teal and expresso. 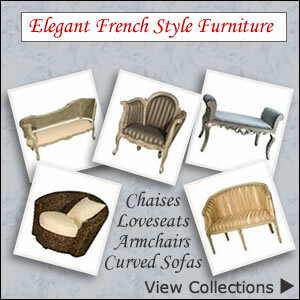 A choice of 3 and 2 seater sofas as well as an armchair with matching stool are available. New additions keep the collection fresh and updated. Whilst classic styles come in aged effect buffalo leather featuring slim arms, contrast piping and roomy seating. 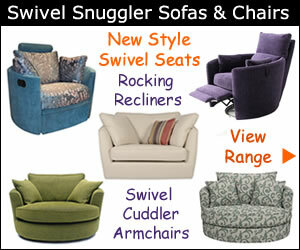 Comfy wide armchairs otherwise known as snuggler chairs or loveseats are great space saving solutions. Snug for two or nice and spacious for one, these single sofa like seats are versatile for small and large living rooms. Sofa ranges often include a snuggler as part of a collection which leaves it open on how you set out your room plan. Loveseats can also be introduced as a focal point or as an extra seat where needed. Vibrant shades, patterned upholstery and quirky shapes will make a real style statement. Round swivel armchairs also add a fun element to a room but for the ultimate in comfort there’s also day beds, sleeper chairs and chaise end sofas too. B&S is the largest independent family run furniture retailer and online store in the UK. They pride themselves in offering everything you could want for your home. Furthermore their appreciation of quality craftsmanship and aesthetically pleasing designs is reflected throughout the range. You’ll find the very best brands from the UK, France, Italy, Germany and the Scandinavian countries. Duresta, Ercol, Parker Knoll, Ligne Roset, Ekornes Stressless, G Plan and B&B Italia are just some of the great names to be found.